With the weather changing in between rainy and dry season, many parents and kids are coming down with colds and the flu. So what are some ways to keep you and your families health in great condition, and away from those nasty viruses? Here are some powerful and all-natural methods to prevent those runny noses, coughing fits, and sore throats. Disclaimer: This website does not provide medical advice, and should not be seen as having medical authority. Please refer to our links connecting you to licensed medical professionals for any and all medical guidance. Sleep is vital to our bodies! In fact while you are asleep, your immune system releases small proteins called cytokines, which helps your body fight inflammation, infection and even trauma. How much sleep should your toddlers be getting? According to WebMD, toddlers need about 11 to 14 hours of sleep per day, and some of this sleep can come from naps during the daytime for about 1 to 3 1/2 hours in length. Your immune system and your babies immune system depends on this very beautiful daily routine. When you are plenished with enough water, your body has the natural ability to flush out germs and toxins from your body! According to the Institute of Medicine, toddlers should drink 5-6 cups of water a day, while teenagers should drink 8 or more cups a day. This one is one of our absolute favorites and you can find this tea almost anywhere in Rwanda! When you drink spice tea, your body will thank you for treating it so well and giving it the love it deserves. 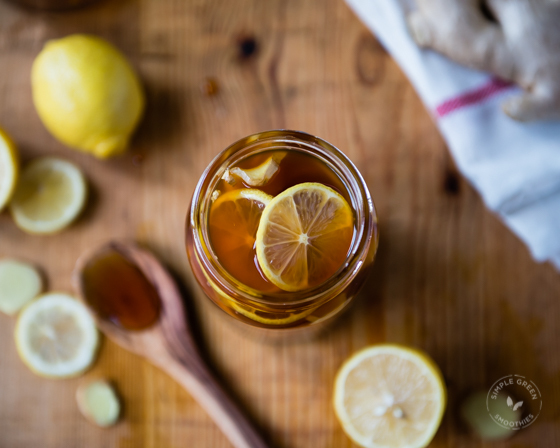 Honey has natural antiviral and antimicrobial properties, which suppresses coughs by soothing the throat and even alleviates allergies. Lemon is a Vitamin C powerhouse! Ginger has tons of antiviral properties, specifically chemicals called sesquiterpenes that fight rhinoviruses, which is the leading cause of the common cold. Throw some ginseng or turmeric in there as well, in order to really kick that flu! If you dissolve about ½ a teaspoon of salt in a cup of warm water and gargle, it helps relieve sore throats! If you think about the science behind it, water follows salt through #osmosis and as a result the salt water pulls viral fluids out from the throat area in a natural and effective way! Garlic is a powerful antioxidant with antimicrobial, antiviral and antibiotic properties. Garlic is packed with minerals, enzymes, vitamin C, sulphur, and selenium which fight colds and flus. In order to receive the most benefits of garlic, crush or cut the garlic and cook it with you meal for the day. You may not believe it, but raw onions can help purify the air and prevent germs, bacteria and other harmful toxins from entering your body. All you have to do is cut a raw onion into slices and place them around your home to purify the air. You can even put an onion in your sock while you sleep to stimulate circulation. We encourage you to try it yourselves, and tell us your experience! These are a just few of our favorite ways to combat colds and the flu, but of course there are so many more ways out there! What is your favorite way? Please comment below so we can receive and give ideas from one parent to another.